Othmane joined MITC Capital in May 2013 as Investment Junior Associate. During his academic training, he completed several internships, mainly at the Casablanca Stock Exchange and Mazars Mesnaoui. 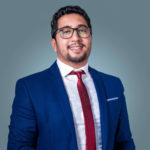 Othmane holds a Master’s degree in Market Finance from Hassan II University in Casablanca.